(a) he or she is geographically resident in a society but (b) for reasons beyond his or her control, he or she cannot participate in the normal activities of citizens in that society, and (c) he or she would like to so participate’ (Hills et al, 2002). Cooper, K. and Stewart, K. (2013). Does Money Affect Children’s Outcomes? : A Systematic Review. York: Joseph Rowntree Foundation. Hills, J., Le Grand, J. and Piachaud, D. (eds) (2002). 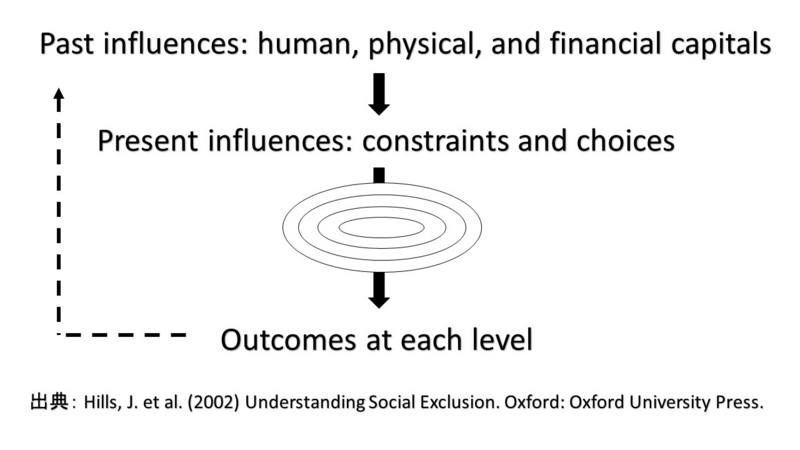 Understanding Social Exclusion. Oxford: Oxford University Press. Oreyemi, P. et al. (2009). Understanding the Risks of Social Exclusion across the Life Course: Families with Children. London: Cabinet Office.